bread kachori recipe | bread khasta kachori | bread moong dal kachori wth detailed photo and video recipe. 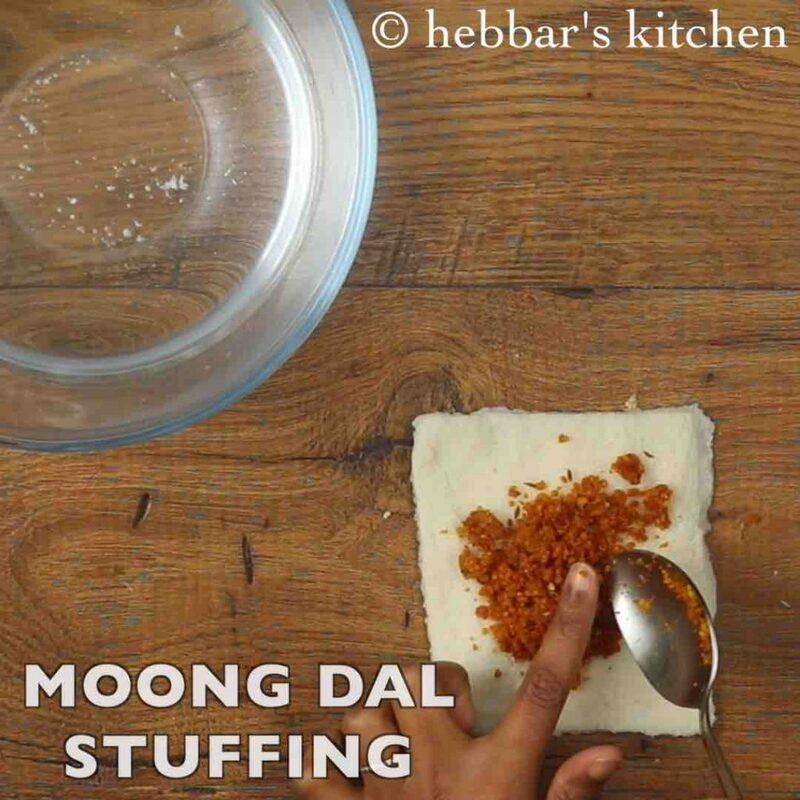 a simple and easy kachori recipe prepared with normal sandwich bread slices and spiced moong dal stuffing. 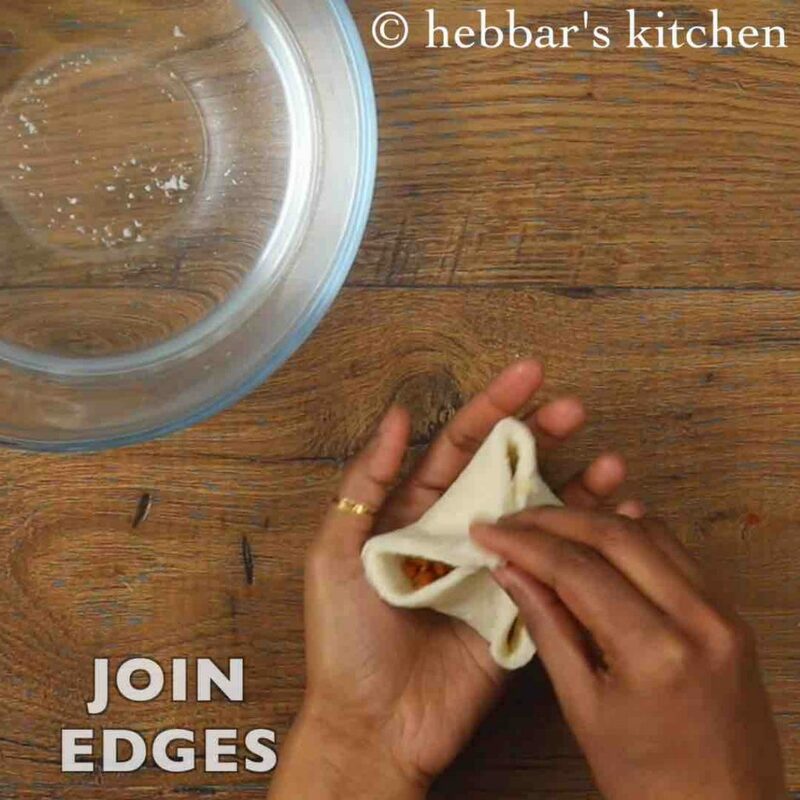 a perfect party starter or appetiser prepared within minutes without the hassle of kneading kachori dough. bread kachori recipe | bread khasta kachori | bread moong dal kachori wth step by step photo and video recipe. in this recipe of bread kachori, the stuffing is prepared very similar to authentic and traditional khasta kachori recipe. however the stuffing can be altered and it can be extended with spicy boiled aloo, matar stuffing and even onion. to be honest i am not huge fan of kachori recipe and i more samosa lover. but this recipe of bread khasta kachori is exceptional and is one of personal favourite. actually i learned this recipe from my aunt jyothi chikkamma. and she was ecstatic when she realised that i am planning to release it with video in my blog. however she frequently prepares it with aloo stuffing and i improvised it with spiced moong dal stuffing. with the aloo stuffing the recipe would have been very similar to bread roll and hence i decided with khasta kachori stuffing. 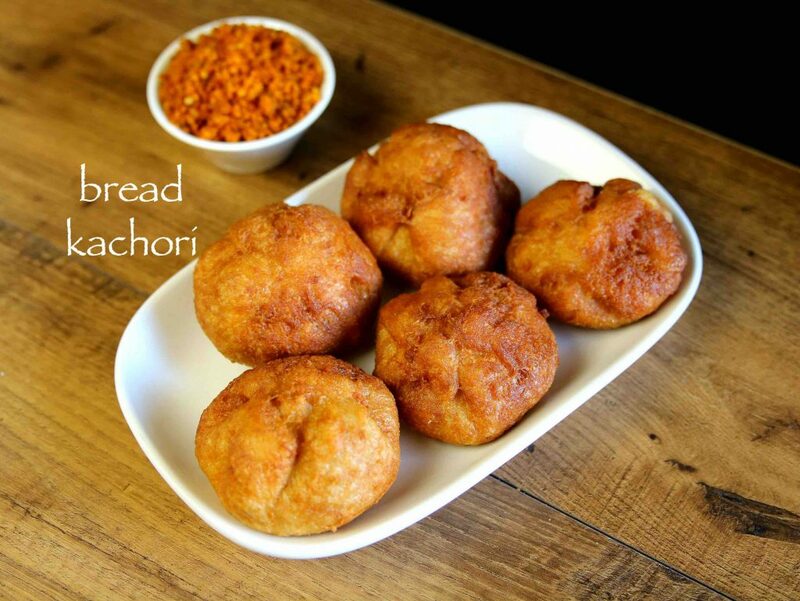 furthermore some important tips and recommendations for a perfect bread kachori recipe. firstly, the bread slices must not be dipped in water for longer time. i have dipped it for a second and squeezed it thoroughly, otherwise the kachori would absorb more oil. 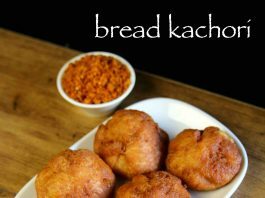 secondly any type of bread can be used for bread khasta kachori. i have used normal white sandwich breads, but brown bread and multigrain can also be used. 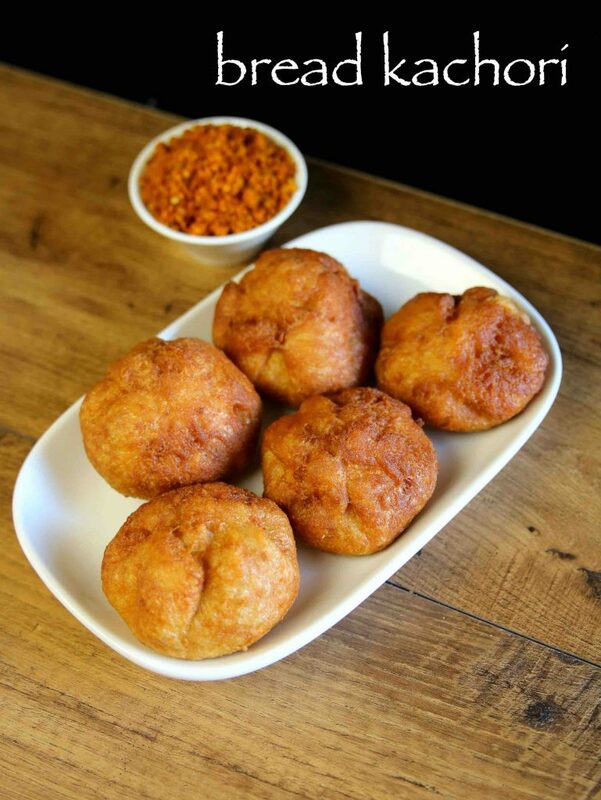 lastly deep fry these kachori’s in hot oil for less oil absorption. 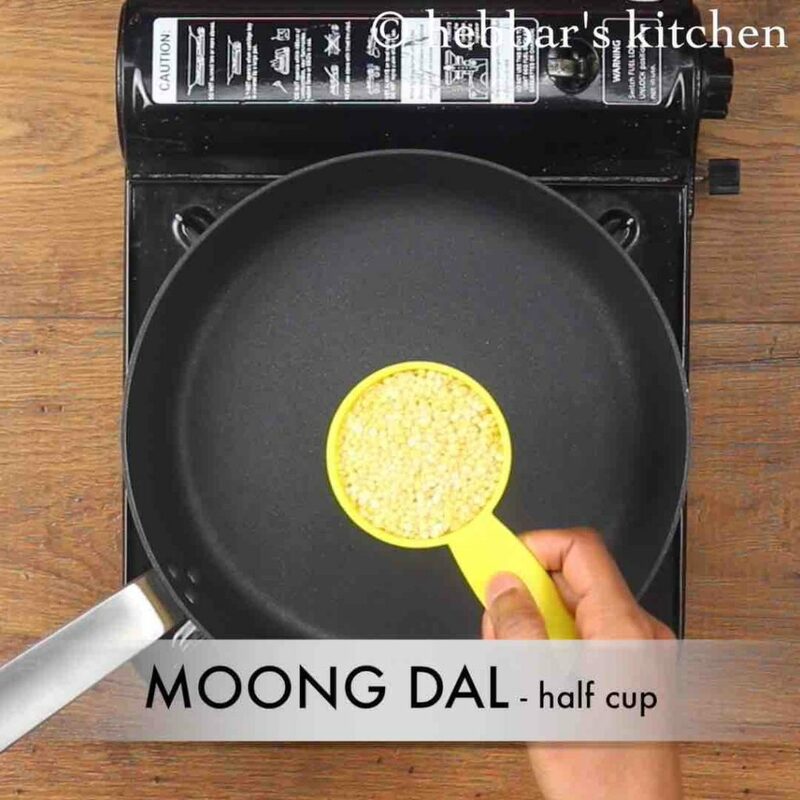 firstly, dry roast ½ cup moong dal on low to medium flame till it turns aromatic. 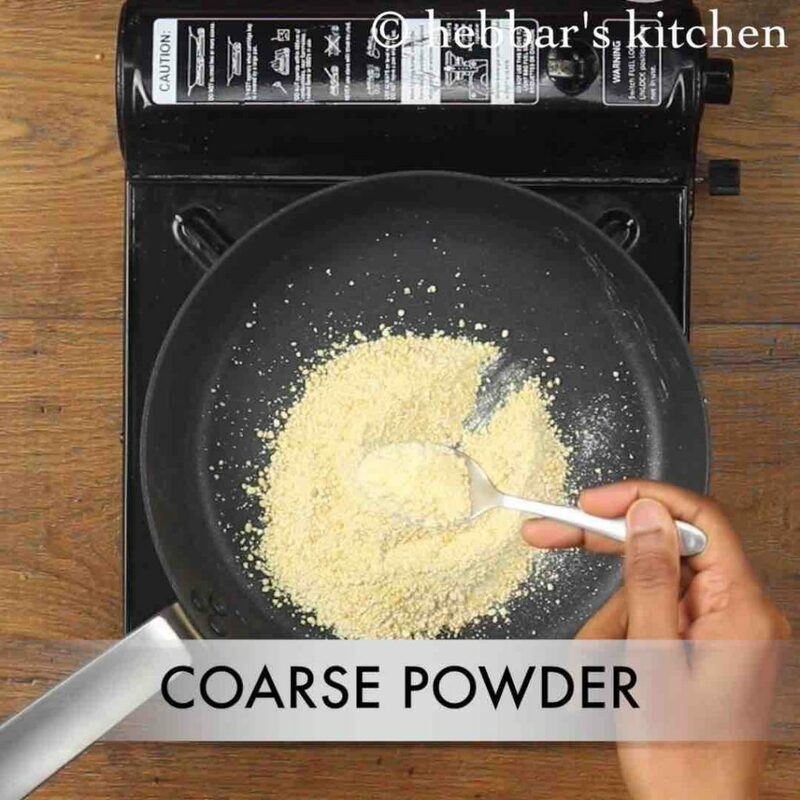 allow it to cool completely, then coarsely powder. keep aside. 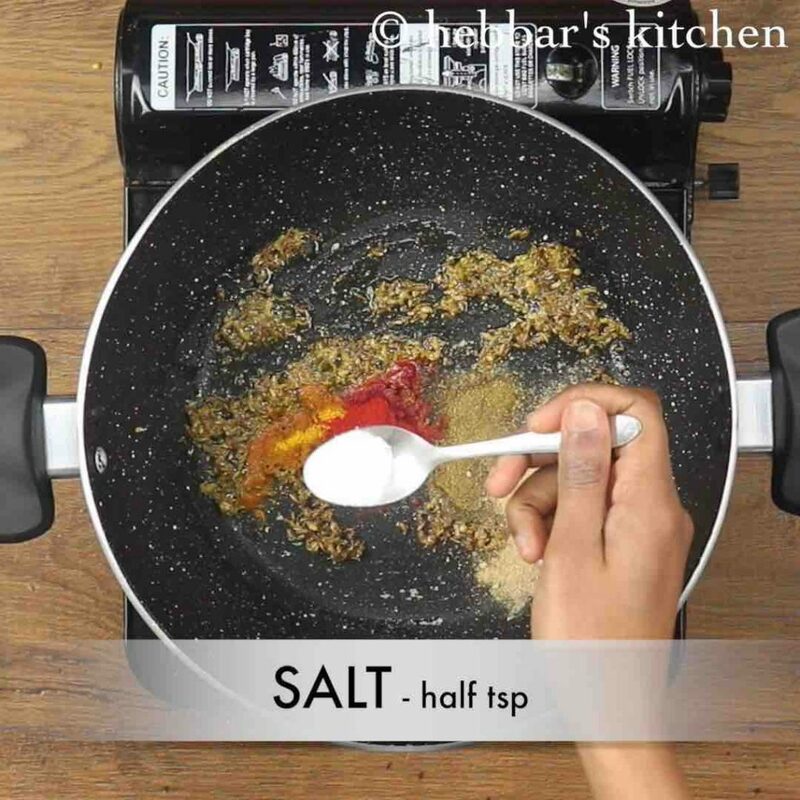 now in a kadai heat 2 tsp oil and saute ½ tsp jeera, 1 tsp crushed coriander seeds, ½ tsp fennel and pinch hing. also saute 1 green chilli and 1 inch ginger. 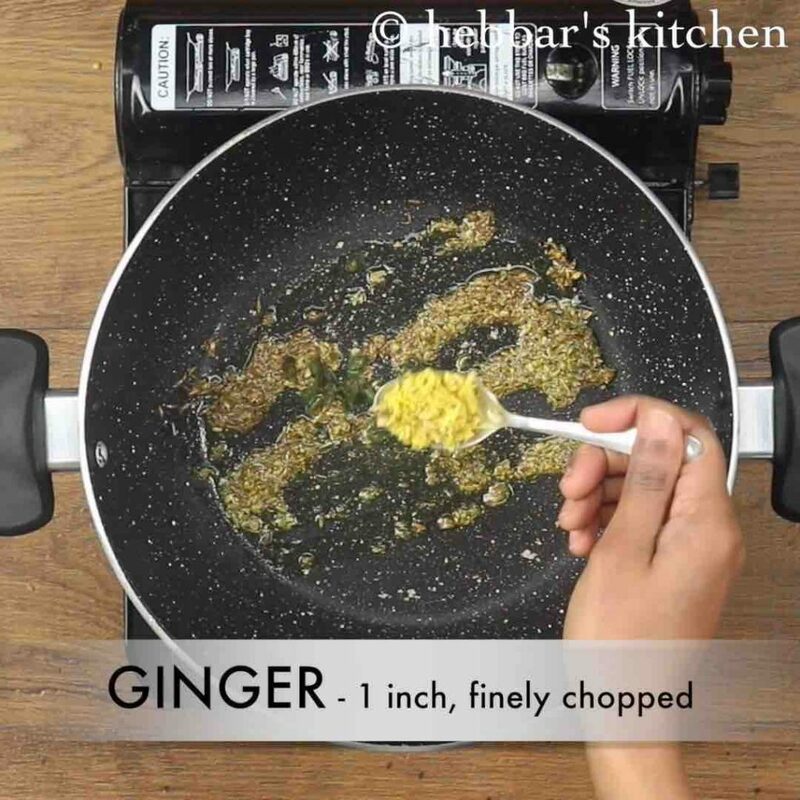 further add ¼ tsp turmeric, ½ tsp chilli powder, ½ tsp garam masala, ¼ tsp aamchur and ½ tsp salt. now add in coarsely powdered moong dal and combine well. 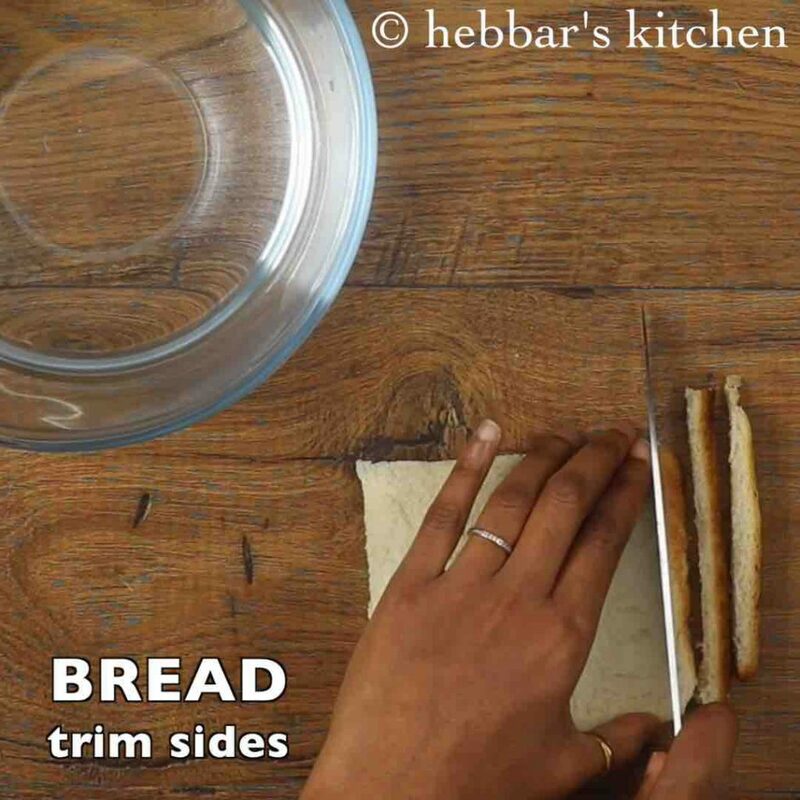 now take bread slices and trim off the edges. dip in water just for a second and squeeze off the water. place 1 tbsp of prepared kachori stuffing in centre. 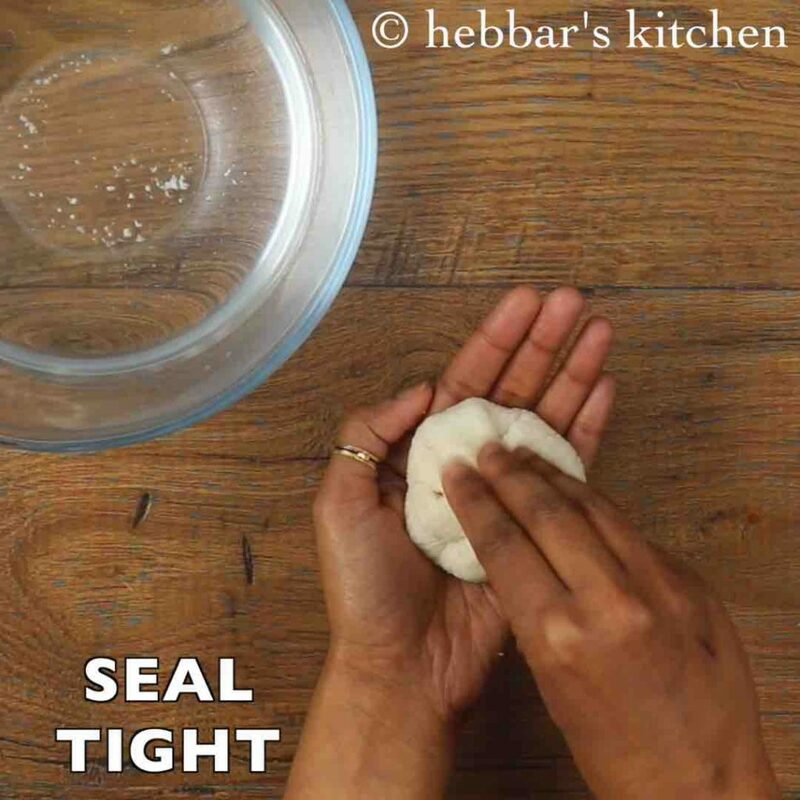 bring the edges together, press and seal kachori. 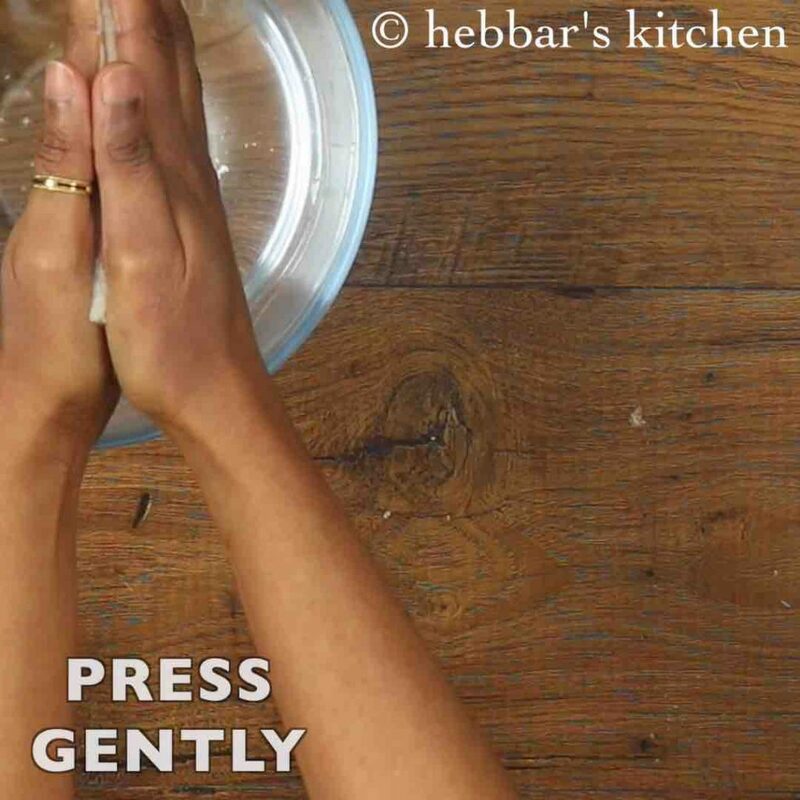 wet your hands with little water if unable to form kachori. 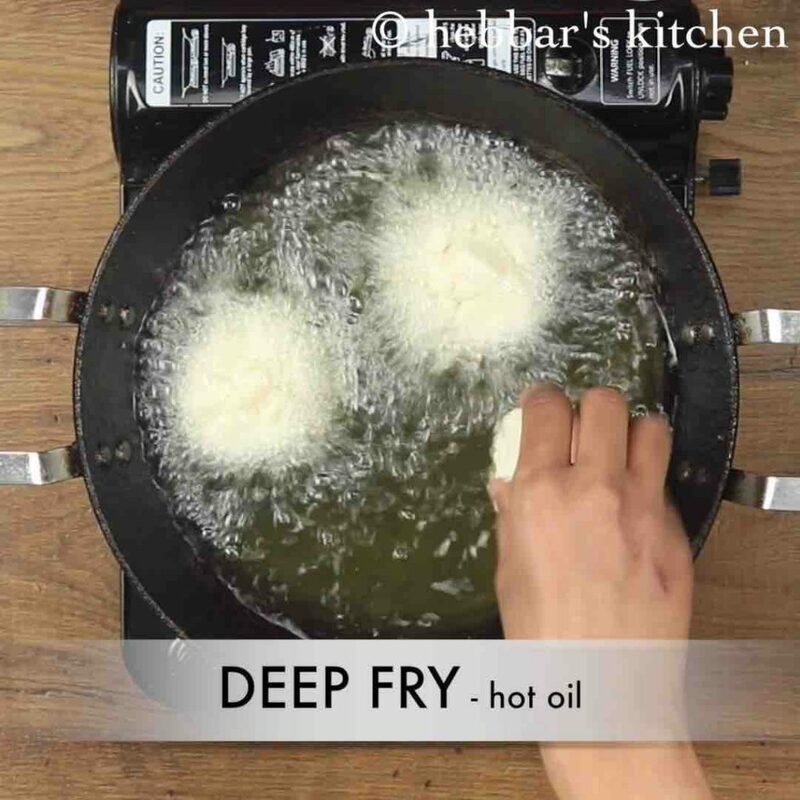 deep fry the kachoris in hot oil. 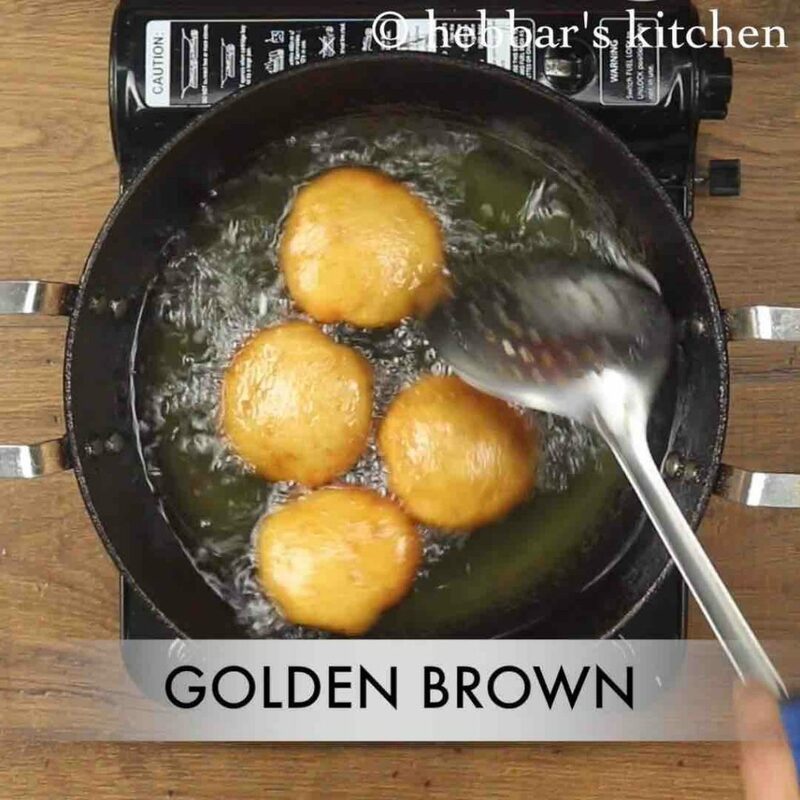 stir till the kachoris turn golden brown from all sides. finally, serve bread kachori with green chutney. 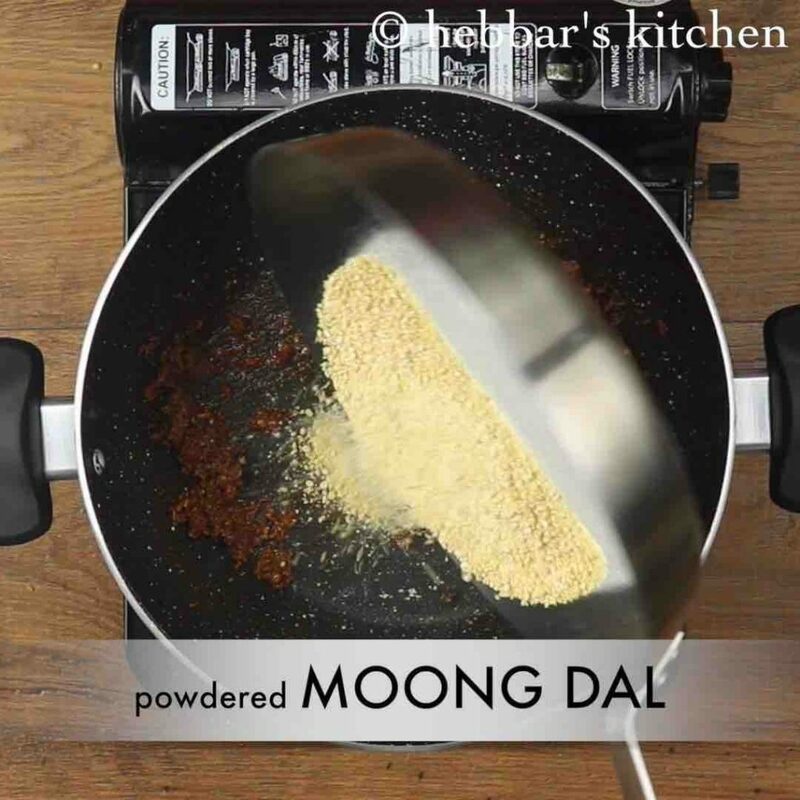 firstly, dry roast ½ cup moong dal on low to medium flame till it turns aromatic. i have used organic moong dal, so haven’t washed. if there is dirt then wash and dry before dry roasting. add water as required (approx. 2 tbsp) or till you get mud like texture. khasta kachori stuffing is ready. keep aside. 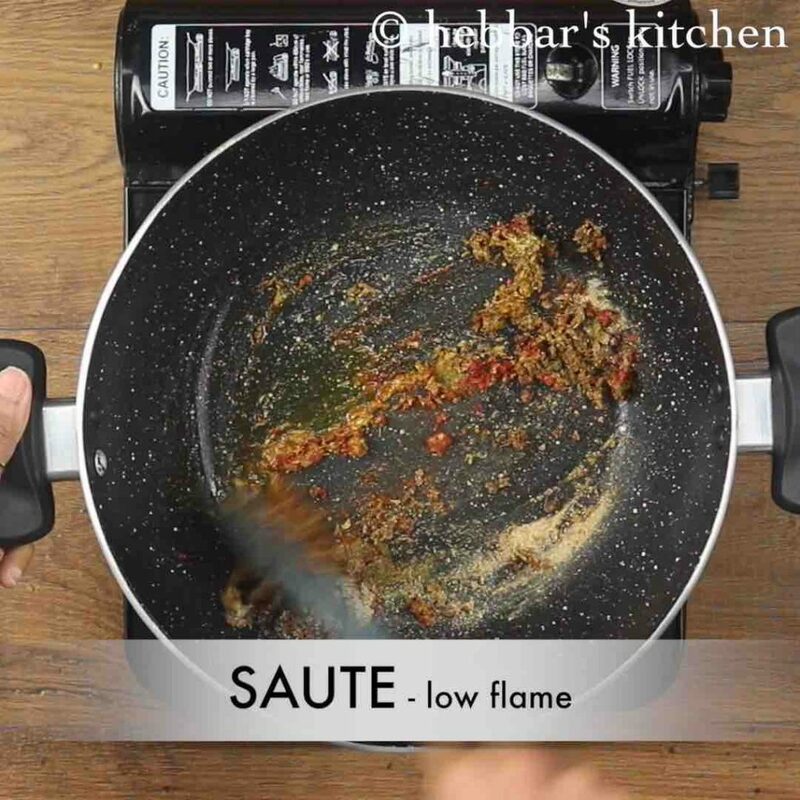 stir occasionally keeping flame on medium, till the kachoris turn golden brown from all sides. 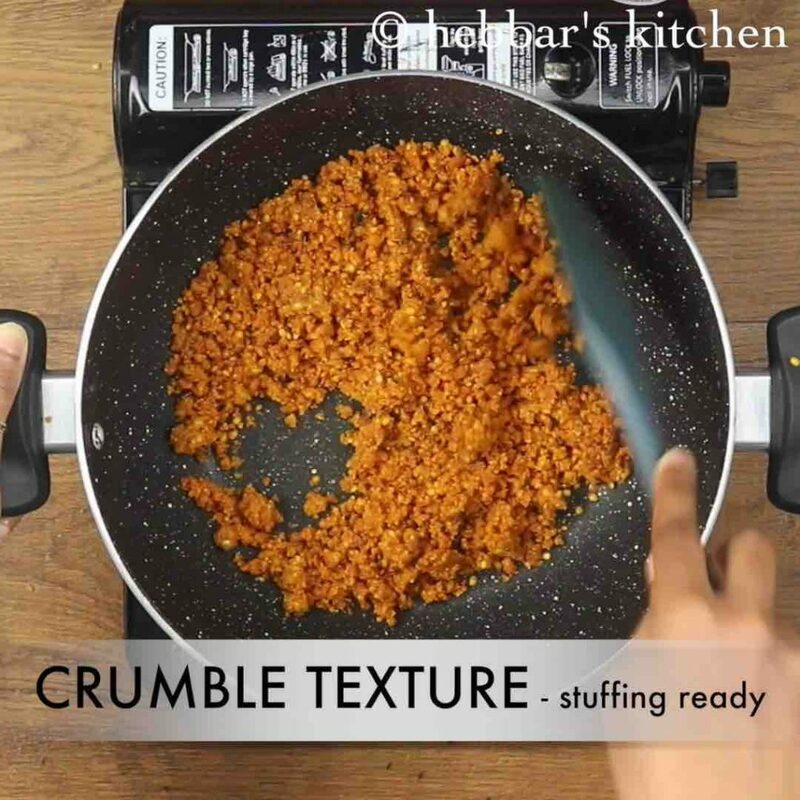 firstly, alter the stuffing to your choice to prepare matar kachori. 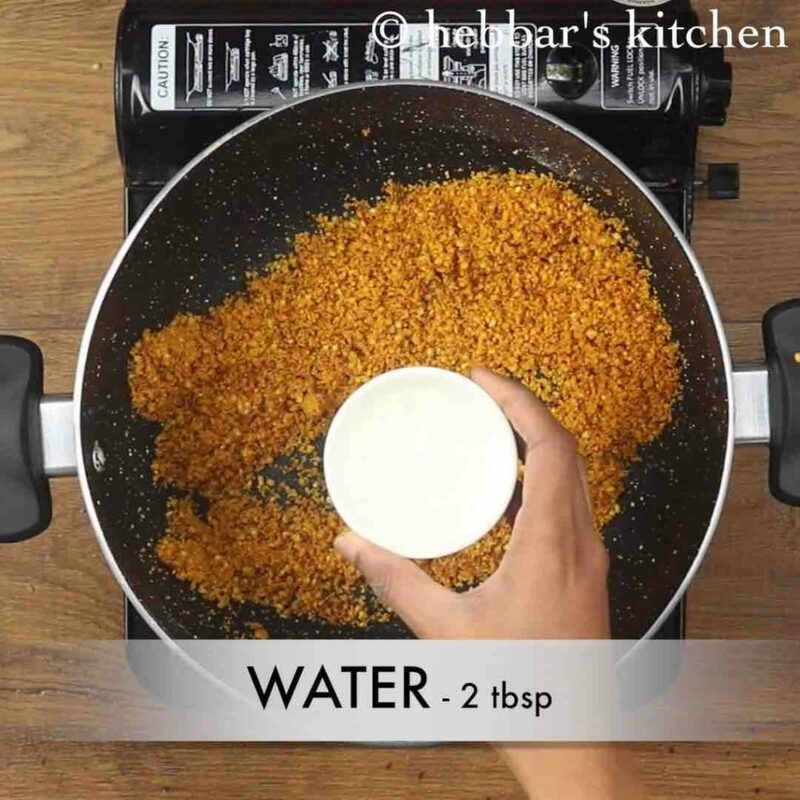 also serve the bread kachori immediately else bread turns soggy and oily. additionally, fry the kachori in hot oil else the bread will absorb oil. finally, bread kachori taste great when served hot with green chutney. Very nice. I tried it today. The kachauris came out exactly as shown in pictures. keep on posting. I follow all your recipes.